Music posters - Avenged Sevenfold posters: Avenged Sevenfold poster featuring has artwork relating to their Shepherd Of Fire single taken from the Hail To The King album, released in 2013. It features a sword-wielding burning skeleton. Hail To The King reached number one in the album charts for AX7. 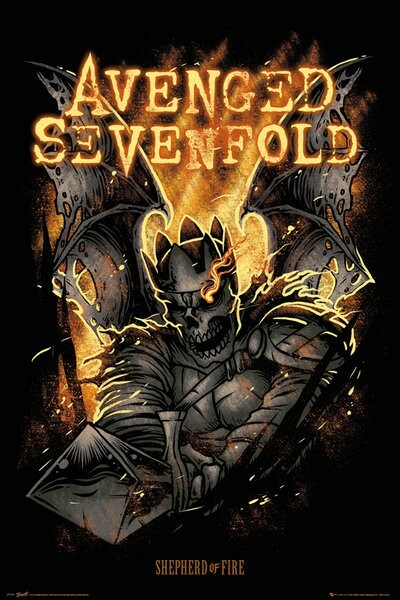 Official Avenged Sevenfold poster.